In the 1990’s, now Grand Archdruid of the Ancient Order of Druids in America, Gordon Cooper, developed the idea of “wildcrafting your own druidry”; this practice is defined as rooted one’s druid practice in one’s local ecology, history, legends and magic. In today’s age of adapting and drawing upon many different traditions in the quest for spiritual wholeness, we sometimes forget that all knowledge, regardless of how ancient it is (like the Celtic Tree Alphabet and divination system, the Ogham) was originally developed in a local culture and ecosystem. Thus, too, I believe our spiritual practice reflect our own local ecologies and ways of understanding. I’m going to expand on some of Gordon’s ideas here and talk about my own work with “local druidry” or “ecoregional druidry” and how to put some of this into practice to create a “druid’s wheel of the year” that is specific to your local ecology and customs. While I’m using druidry as an example here, anyone who is following a nature-based spiritual path and using the wheel of the year as their structure of holidays would benefit from such information. 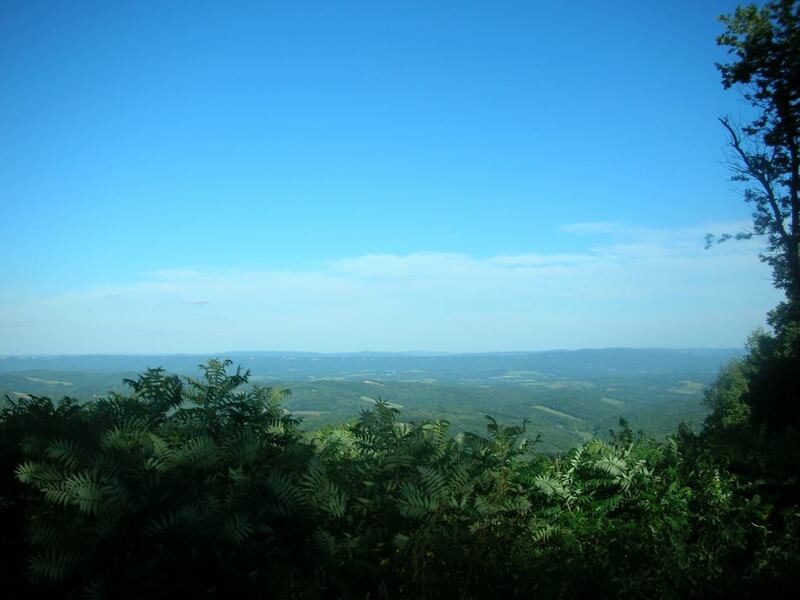 The Laurel Highlands (Allegheny Mountain Range in the Appalacians). These are the mountains I call home–my inspiration for my localized wheel of the year. Before we get into how to adapt some of the druid path practices and material to a local setting, it’s important to understand the different ways in which we can divide a landscape into smaller units that are more uniform. Most of us understand divisions from a political sense: the line that separates two countries, states, or provinces. These divisions may help us understand some of the different cultural practices that we can draw upon that are regionally or locally-based. Local feasts, local foods, local agricultural practices, local traditions and folklore all may contribute to our own understanding of ecoregional druid adaptations (and I’ll talk more about those in a second post). However, political lines only occasionally follow ecological boundaries, and so we also need to understand something about ecological boundaries. At the largest level are ecozones (like the Nearctic ecozone, which constitutes most of North and Central America) and bioregions (like the Eastern United States). These bioregions are very large areas that have many, many different ecosystems within them, but do share some broader characteristics (such as patterns of light and darkness throughout a year). For our purposes, likely the most appropriate place to look is at the level of ecoregion (or ecological region) which is, according to Brunckhorst (2000) is a “recurring pattern of ecosystems associated with characteristic combinations of soil and landform that characterize a region.” This may include patterns that repeat in the geology, physiography, vegetation, climate, hydrology, flora and fauna, and soils of a land area. In the case of the United States, the Laurentia ecoregion which also includes all of New England, the Mid-Atlantic, the upper Midwest east of the Mississippi as well as parts of South-Eastern Canada. Within this ecoregion, there are many ecosystems which are unique to their specific locations but also broader species that are shared across them. With knowledge of both your regional or local traditions and ecoregion and local ecosystems, you are well on your way to adapting your druid practice. The holidays that make up the wheel or cycle of the year in the druid tradition follow the path of the sun and include the solstices and equinoxes are determined by the path of the sun. The solstices, equinoxes, and cross quarter days manifest differently upon the earth in quiet dramatic ways. The modern wheel of the year, which is celebrated by druids, was developed in Great Britain from older agricultural holidays from Europe. While it fits the UK ecosystem quite well, it may be far less appropriate Texas, USA or Australia. Particularly, while the astronomical event of the longest day and longest night are present always, how they manifest on the earth is tied to how the holidays are celebrated. For example, in the UK or Eastern US, the Fall Equinox is a ritual devoted to harvest because that’s what’s happening in the landscape. Many different adaptations of the wheel of the year have been created by druids all over the world, unique to their ecosystems. Further, the four season model present and assumed in the Wheel of the Year is based on a temperate climate. Some druids don’t live in regions with four seasons. 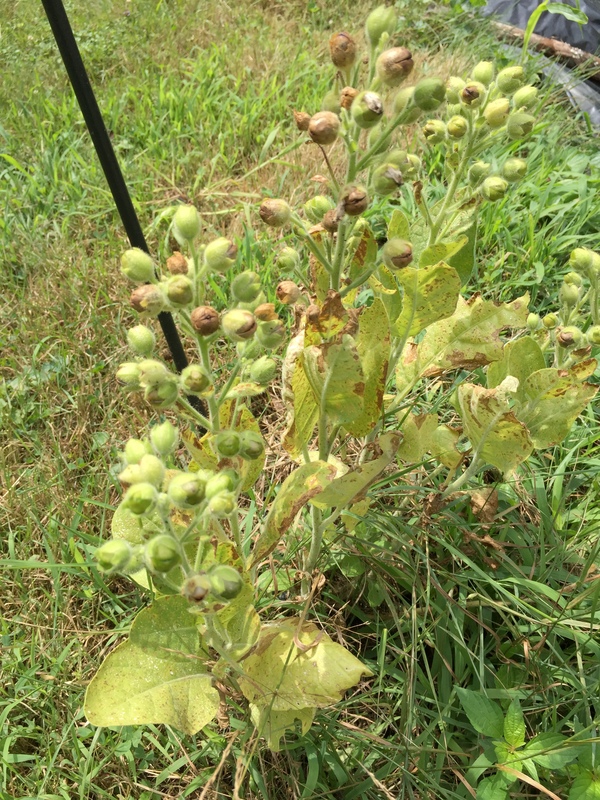 Even within a temperate ecosystem each season may vary considerably by weeks or months, with different bloom times. Each year also is variable; a warm and early spring equals a growing season that has flowering and fruiting maturing earlier. And so why the sun and solar currents are steady, dependable, and predictable, the hydrological cycles, weather, and manifestation of the season on the earth herself is ever changing. It seems, then, to create a truly representative body of holidays, we must observe both the progress of the sun across the sky, but also consider the role of the specific season upon the earth and how it manifests where we live. While the overall themes of the wheel of the year manifest in most ecosystems (a time of light/spring, a time of harvest, a time of being indoors/shelter (which might be from sun or cold, depending on the location), these are not consistent with the traditional wheel of the year in many places. Not all locations have traditional spring, summer, winter, and fall. And so, some druids may find it necessary to develop a modified seasonal cycle and wheel of the year. For example, a wheel of the year in the tropics might include a dry season and a stormy season; this would drastically change the nature of the seasonal celebrations and the overall themes. Even if you live in a temperate climate (like I do) that is fairly representative of the standard wheel of the year, one of the ways you might adapt the wheel of the year is by adding in what I call minor sacred observances. These, unlike the path of the sun or cross quarter days, do not have specific dates on a calendar set by the consistent path of the sun and patterns of light and dark. Rather, they mark a period in time in the ecosystem, and that specific occurrence changes from year to year. 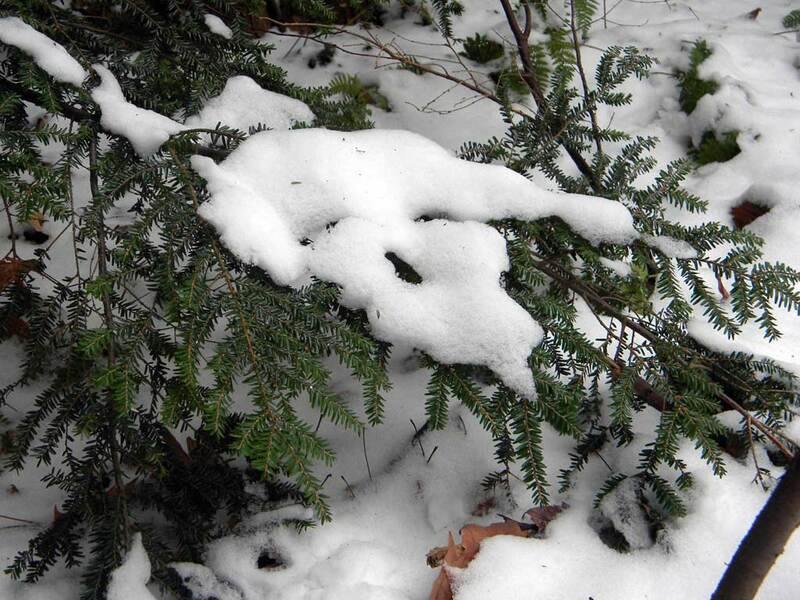 Anything that is in between the eight holidays is mostly variable – like the first hard frost or first snowfall. These are particularly significant events that happen each year, and I make note of them and honor them when they occur. I also have noted important dates that connect me to seasonal activities and the land–the yearly creation of Pysanky eggs, a longstanding family tradition. 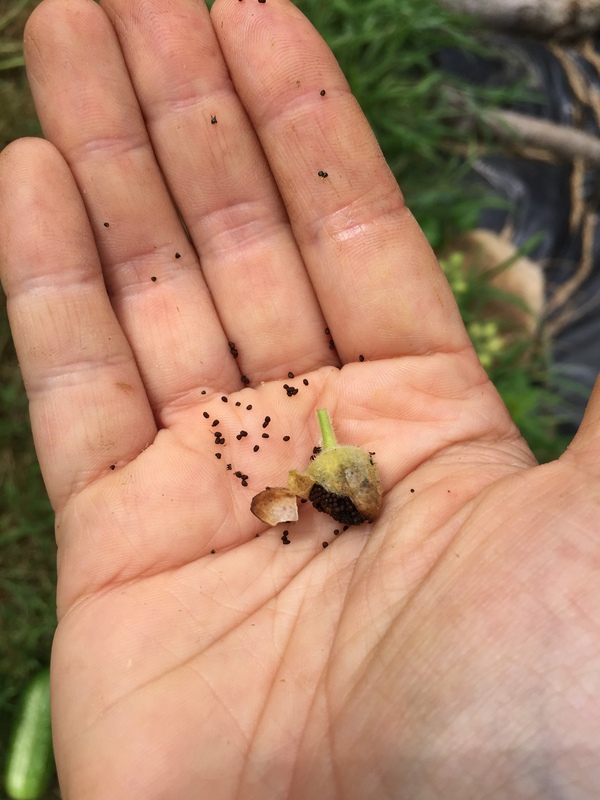 Additionally, all of my gardening and homesteading activities that help root me firmly in the ecosystem like starting my seeds, preparing beds for the fall, harvesting, and so on. You’ll also see that I have included what I consider to be important markers of changes in my local ecosystem, like the chirping of the Kaydids or the blooming of the hawthorn. You’ll notice on my map, Groundhog Day is included for a simple reason: I live 40 minutes south of Punxsutawney, PA, who has an annual tradition of doing a groundhog weather prognostication (a fancy word for divination) describing how soon winter will end by reading Phil’s shadow. Because of that bit of regional and honored folk magic, I tie my own Imbolc celebrations in with the general regional celebrations for Groundhog day on Feb 2nd and do divinations for the coming year at that time. Of course, a different druid (even one living in the same ecoregion) might have a very different calendar of events. For example, when I lived in the Great Lakes region of the US, the full freezing over of the ice on the lakes (so that you could walk, skate, or ice fish) was a memorable occurrence, as was when the first crack in that same ice appeared. For some druids near the coast, the monthly “tidal bulge” might be particularly salient or the blooming of the beach rose. This is all to say that your own earth-centered holidays and even more specialized seasons themselves can be developed in line with your observations of local ecosystems and ecology. The more that you know about the world directly around you, the more you will have a sense of what is sacred and meaningful about that world. Perhaps you don’t have a winter, but you have a season of fog—that would change how and when you celebrated that season. I see this kind of ecoregional calendar as a next step in the druid tradition: we have a set of solstices, equinoxes, and cross quarter days that occur with regularity and that help bring us together. And these are determined by the path of the sun. But each druid or group of druids might find their own way forward: the general principle here is that part of the druid tradition ties sacred ecological knowledge with a honoring of the cycles of nature and the cycles of the year. Or, you might choose to keep the solstices and equinoxes and do away with the cross quarter days entirely (as they are agricultural) and instead, build in other holidays or sacred moments that are important to you and your region. 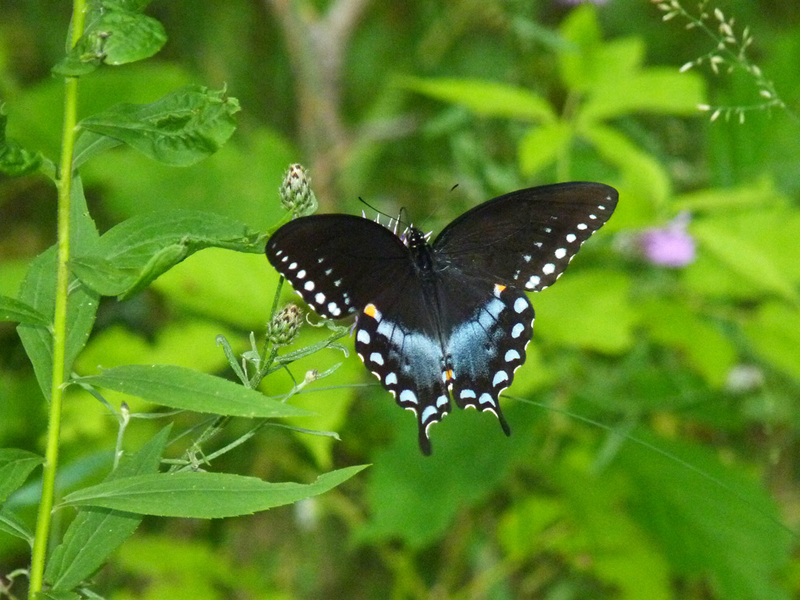 Nature observations: You might start by observing nature in your area for a full year and then noting: what is changing? What is different? How important are those changes to you? Interview the Old Timers and Wise Folks: Talk with the old farmers, wise women, grannies, and grandpaps in the area who have an innate knowledge. Ask them how they know spring has arrived, or that fall is coming. You might be surprised with the level of detail you get! Look to local farmers and farm products. A lot of traditional agricultural customs and products are directly dependent on the local ecosystems. You’ll see that reflected in my map above—the flowing of the maple sap, for example, as well as the budding of the maple tree are significant to me both because I have done sugaring most years, but also because of the broader cultural custom in this part of the US. Look to local customs and traditions. You might pay attention to regional or local fairs (like the celebration of the maple tree present in my region) and/or look at regional calendars to see what the important dates are. Some of these may be contemporary customs (like Groundhog Day) or customs that used to take place but no longer do (like Wassailing in January). Reading about the history of your region, particularly, feasts, celebrations, and traditional activities, might give you more insight. Consider family observances. Some families develop their own traditions, and some of those might be worth considering. For others, family traditions are often religious and may belong to a religion that you no longer want to associate with, and that’s ok too. Consider where the “energy” is. What is this season about? Where is the energy and power in the land at present? For example, for me around the Spring Equinox here (late March) nothing is blooming. But what is happening are the robins are starting to return and the maples, birches, hickories, and walnuts are running with their sap. And the maples, in particular, are in a place of their highest power of the year (which I understand from talking to them and sensing their energy over a long period of time). Maple, then, features predominantly in my local druid calendar as well as in ritual work that I do at that time. Speak with the nature spirits. 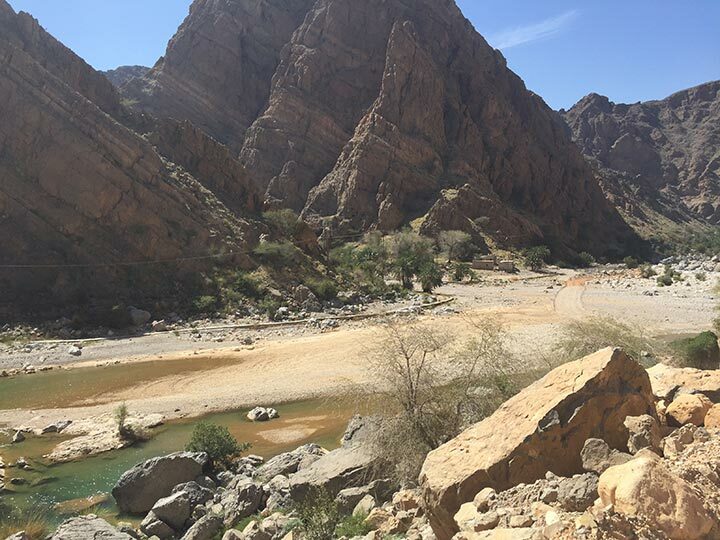 Perhaps the most powerful thing you can do is to connect with the nature sprits, the powerful energies of the landscape where you live, and see what wisdom they have for you (using any number of inner communication or divination methods). And so, with some observation, intuition, and research, you can develop a highly personalized “wheel of the year” calendar that is eco-regional and very specific to your druid path. I’ll continue to examine this topic next week, when we explore how to develop localized rituals, observances, and activities for your wheel of the year. In the morning, the skies were clear and blue, the weather warm, and the sun shining. There was very little wind, which allowed the monarchs (who have finally made their way to Michigan) come out and enjoy the milkweed blooms. I went out to my favorite secret harvest spot (an 80 acre parcel of land about a mile away) to see what was ready. The land isn’t far from my home, so I’m pretty sure I also spotted some of my (or other local) honeybees on the spotted knapweed. I was so excited to see that the goldenrod had just came into flower and tons of mullein stalks jutting up around the goldenrod as far as I could see. I gathered up goldenrod, beautiful and bold, for a tincture. 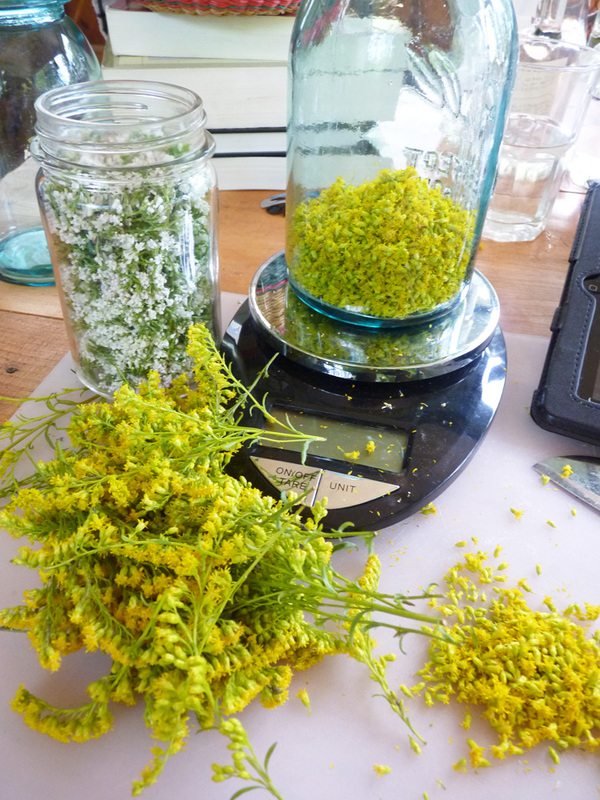 I’ve been eagerly awaiting the blooming of the goldenrod all summer, and I’m so glad to finally be able to make this tincture! 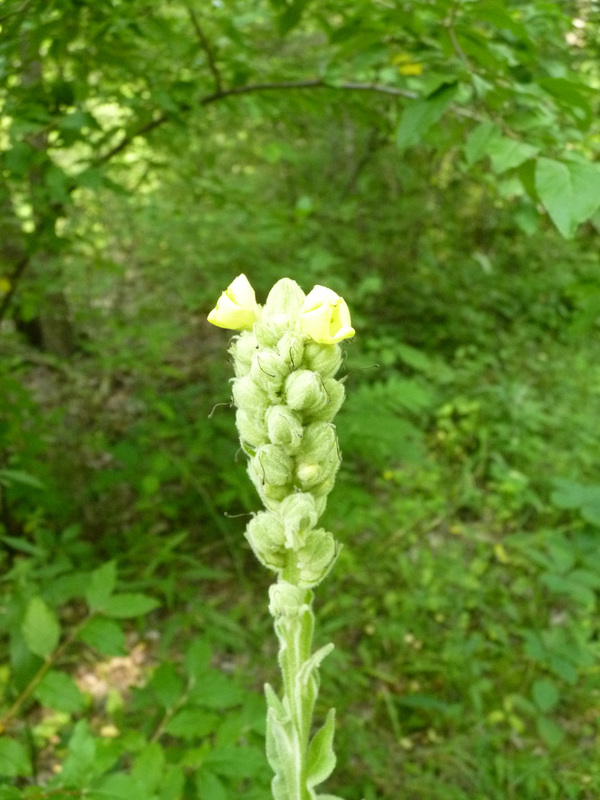 I also carefully went around each of the mullein stalks, gathered a few leaves, and spent a good hour gathering up a bunch of mullein flower for an ear oil. I visited at least 30 plants to gather up enough of their delicate flowers. If you look around the plant, in its leaves, etc, and you can find flowers that have already dropped but are still moist. 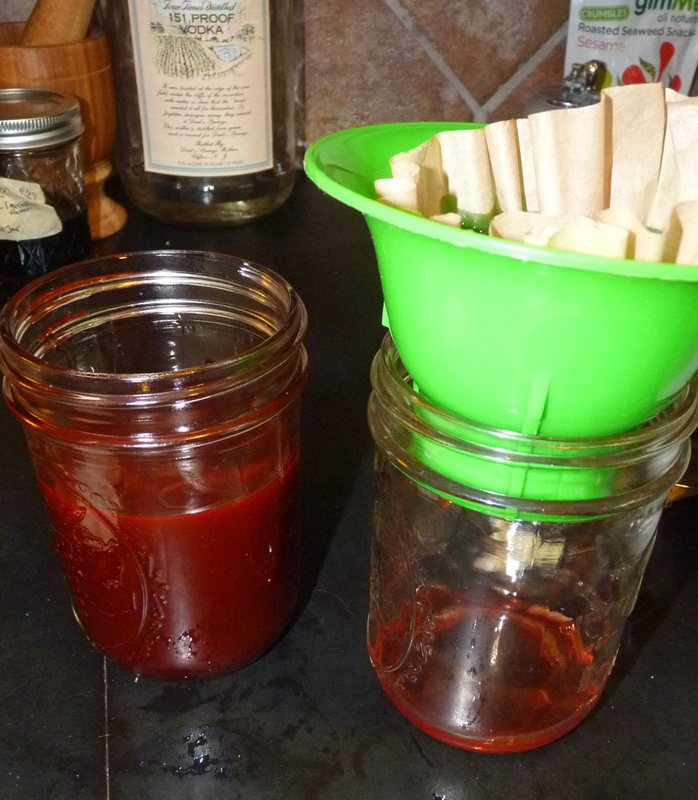 In addition, I gathered some branches from a fallen oak tree (for an oak bark tincture), bright red clusters of staghorn sumac berry and stinging nettle, all for tinctures. I brought my panflute with me, and in exchange for the harvest, played music for the land for a time, and just sat and enjoyed being out in the fields and among the pines. Around lunch, I arrived home, ate some yummy food from the garden (it is the first harvest, after all) and setup my medicine-making supplies out on my back porch where I could keep an eye on my free ranging chickens. From nearby herb beds, I gathered colts foot, lady’s mantle, and chamomile. 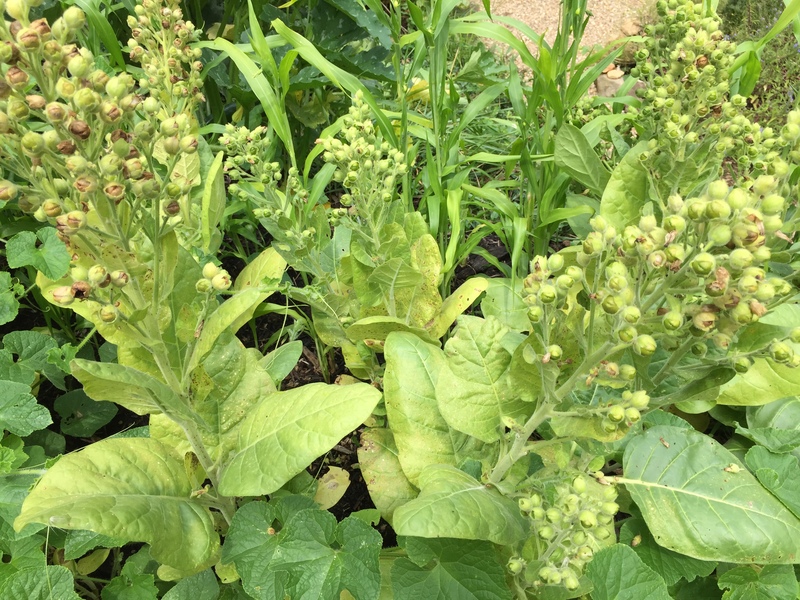 I also gathered up valerian flower for a tincture (I am hoping the flower will be more mild than valerian root, the root I will harvest later in the year). The tincture making process is a lot of fun. Inspect your herbs to make sure you only have the right ones, check for bugs, and so on. Then, chop up fresh herbs, add alcohol (in a 1:2 ratio for fresh, so 1 part herbs (weight) to two parts alcohol (volume)), and seal in a mason jar. 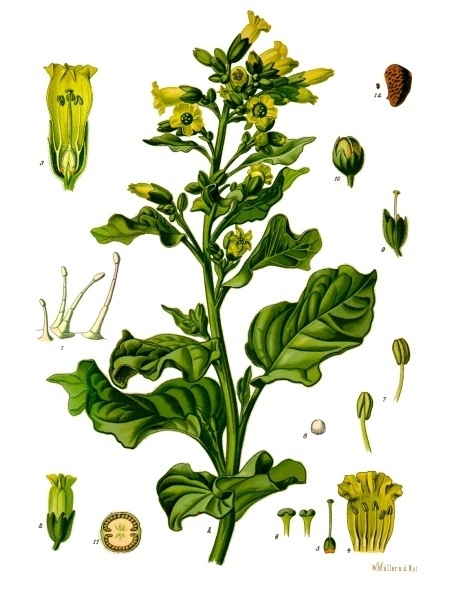 I learned in my herb class that if you are using the standard fresh herb ratio, and the herb is really bulky (like mullein leaf), you can get the herbs below the level of the alcohol by weighing down your herbs with clean stones. That way they don’t turn a funky color and the alcohol can properly extract all of the plant material. Staghorn sumac, above, is a fantastic (and quite potent) astringent. Its good for leaky, puffy, or lax tissues. There are other astringents less potent than this (like strawberry leaf), but this was one on my “must make” list this year. My hands were still a bit cut up from replacing my chicken coop last weekend (chicken wire hurts!) 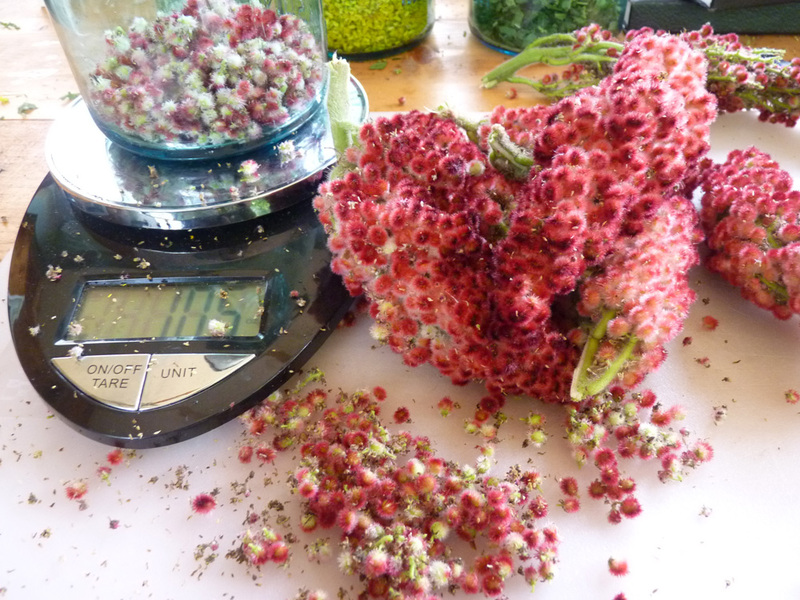 and so the sumac was quite stinging on the hands as I was carefully pulling off the berries. Goldenrod (especially when combined with ragweed leaf and stem–NOT ragweed pollen/flower) is great for those snotty, leaky, allergies. Its kinda funny that ragweed leaf and stem can help cure ragweed’s pollen allergies that many people get. 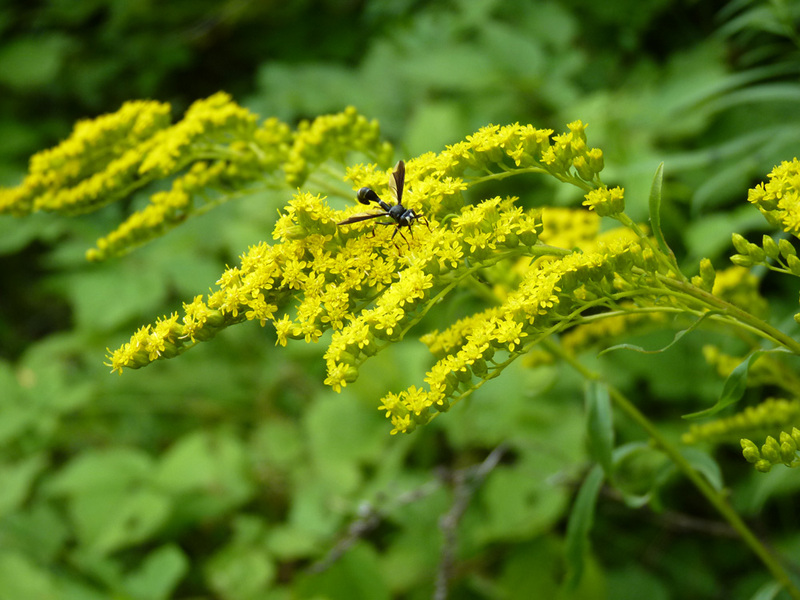 As far as I know, nobody is allergic to goldenrod, it gets a bad rap because other allergen producing plants, like ragweed, happen to bloom at the same time and in the same location. I wanted to have a good tincture of goldenrod so that when I encounter people’s pesky dogs that jump up on me, I have something to counter the allergic reaction. Another tincture I made today was oak bark. Its really good for gums, especially gums that bleed a lot after flossing or brushing teeth or gums that are receding or otherwise lax–its another astringent, so it will help tighten up the tissue. 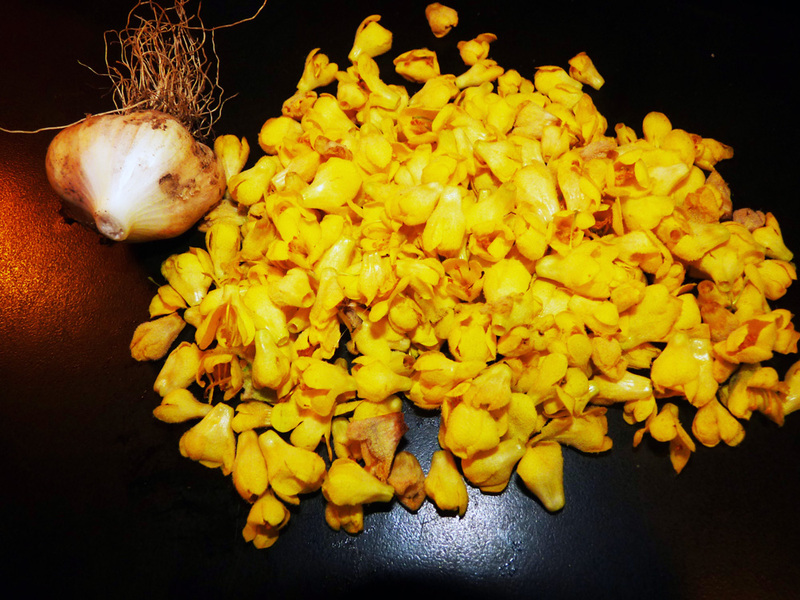 I had made a St. Johns Wort oil a few weeks ago (the St. Johns wort flowers are about done for the year, but two weeks ago they were in the height of their blossom). I spent today letting it drip off, to get off all the plant matter (if plant matter remains in an infused oil, it will go rancid). This oil is fantastic for any kind of wound (external use). I will probably make a new healing salve blend with some of this along with plantain oil, maybe calendula or a few other things. 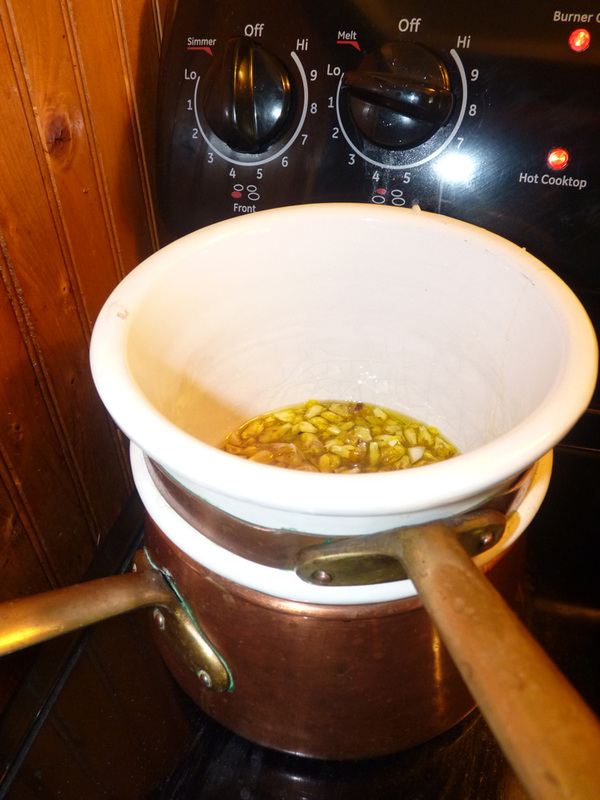 Fresh garlic from the garden and the painstakingly gathered mullein flowers went into my awesome enamel and copper double boiler (yard sale find, $15). This oil, which I will infuse over the next three days, is used for ear infections, which I get pretty often in the winter. 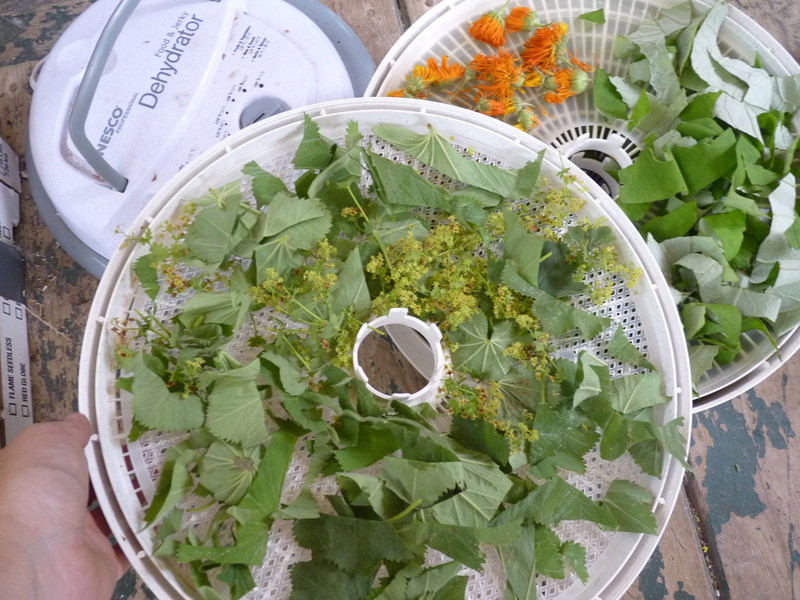 I also added some herbs to the dehydrator–its been going straight for weeks now, it seems! 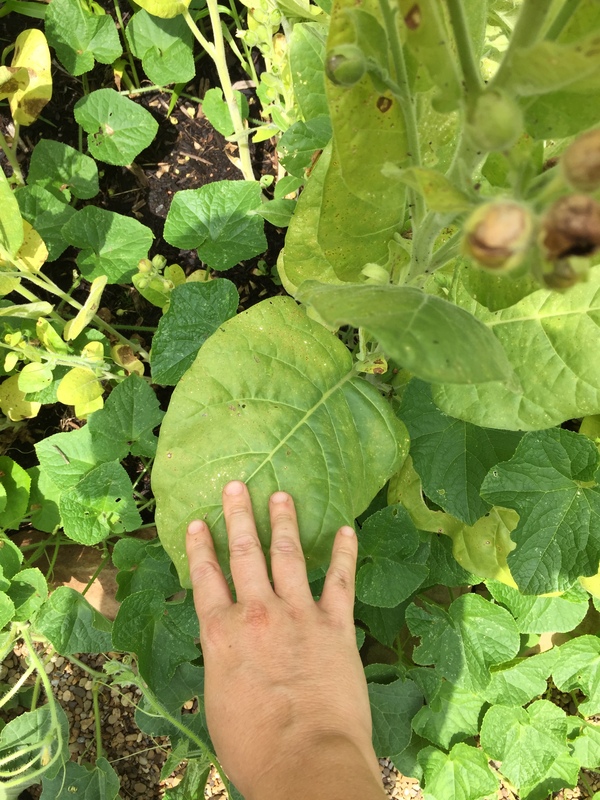 I have found such a quality difference between what I can buy vs. what I grow and harvest myself, plus, there are many herbs that one can’t buy easily or cheaply. But these herbs are free and abundant on the land if one grows them or knows where to look. 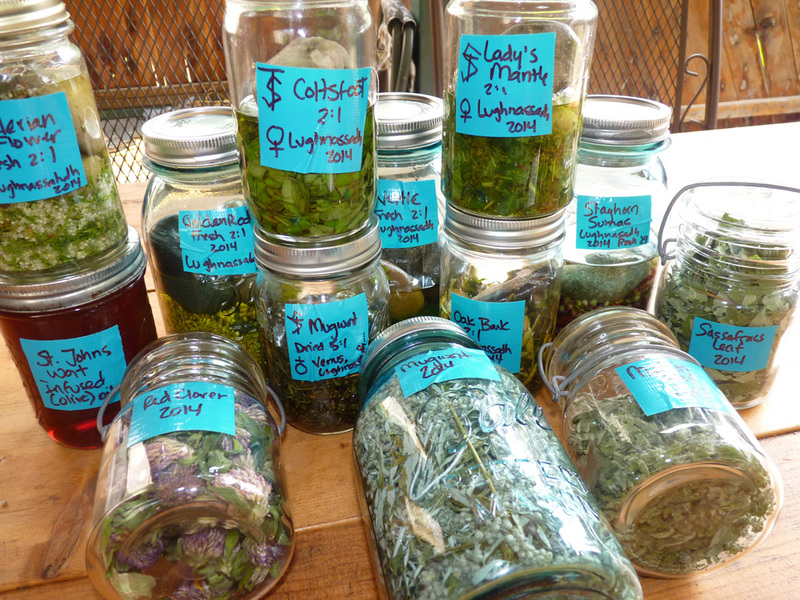 Here is a photograph of all the herbs I prepared or jarred up today–nine tinctures in all plus four jars of dried herbs from the dehydrator. The tinctures are now macerating and many of the herbs I wanted to preserve have been crossed off my list. After all that work, I went down to the stone circle for some ritual and meditation, and saw the butterfly of transformation! To finish out the day, I had a wonderful feast from the garden and the land – wild chicken of the woods mushrooms, green beans, zuchinni, and kale. I hope that everyone has a blessed Lughnassadh! When we think about the practices that various groups and cultures did on a yearly cycle, agricultural holidays are some of the most prominent. 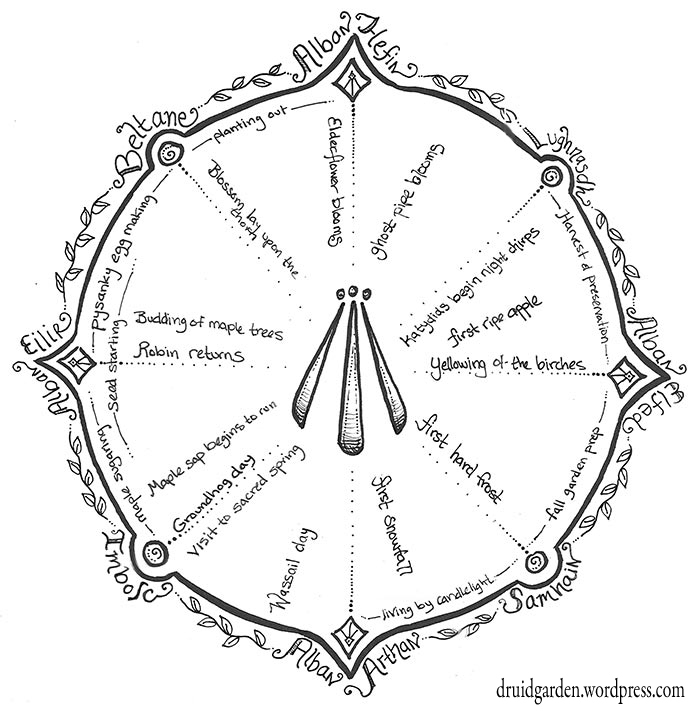 The modern Wheel of the Year in the Druid tradition seeks to re-establish a set of holidays that clearly align with the changing season and with earth-based practices. 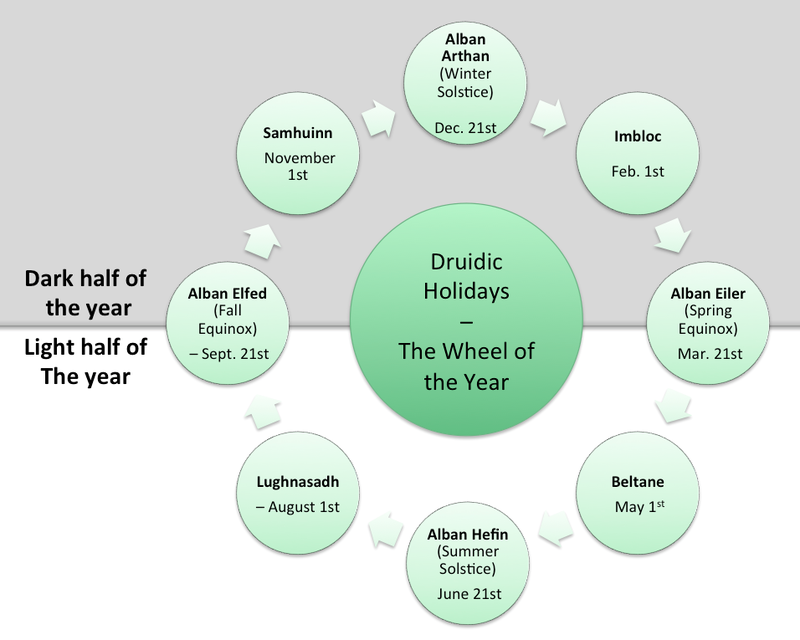 Therefore, many druids celebrate the “Wheel of the Year” or a set of eight holidays occurring every seven weeks. The holidays in the Wheel include include the solstices and equinoxes (which we give special names in the Druid Revival tradition, see below) as well as the four fire festivals (which occur at the halfway point between solstice and equinox/equinox and solstice). The following material comes from a workshop that I wrote a while ago to introduce new druids into the wheel of the year. It started with a guided meditation for the wheel of the year, which I posted a few weeks ago on the blog. I thought this might be of use to others, so here it is! The following graphic shows the holidays as we progress from Alban Arthan, the Winter Solstice and the time of greatest darkness, to Alban Hefin, the Summer Solstice and time of the greatest light. As you can see from the graphic, Alban Eiler and Alban Elfed fall on the midpoints—they provide us two balance points of the year where the darkness and light are equal. The other six holidays firmly sit within the light or dark half of the year and reflect the themes of growth, harvest, compost, and rebirth. Recognizing these holidays as part of a never-ending cycle is important. This cycle is repeated in our weather, our light patterns, and our growing and harvesting seasons externally. Internally, it can also be reflected in our own lives. We must have times of light and times of dark, times of harvest and times of sowing, times of high energy and times of quite reflection. Celebrating the wheel of the year allows us to recognize this in our lives as well as balance our own energies with those of the land. Celebrating the holiday with grove ritual, food, and companionship. Planting or harvesting herbs, fruits, leafy greens, etc. meditation, reflection, and engaging in divination work. Samhain was traditionally the Celtic New Year, a time when the veil between the worlds grew thin and the Celts honored their ancestors. Druidry often recognizes three kinds of ancestors: ancestors of our blood, ancestors of our lands, and ancestors of our spiritual tradition. Samhain is usually our most solemn holiday, where we recognize the death that fall and the dark months bring, the need to compost and go into stillness, and the coming of the cold months. This is the second of our “dark half of the year” holidays; the time of the greatest darkness in the year. In the druidic tradition, darkness is not something to be feared or something that it is evil—it is part of the cycle; we cannot appreciate the light if we never experience the darkness. So we use this as a period of rest, of gestation, of recognizing the need for the cold and dark of the winter months for the land to rest and regenerate. In our grove, this is when we traditionally give gifts, burn the Yule log, and work to bring light back into the world. The third of our “dark half of the year” celebrations, Imbolc was traditionally a Celtic festival that celebrated the first sign of spring—and for most families, this was the lactating of the ewes, showing that they were going to give birth to lambs. Although it seems still very much winter in South East Michigan during this holiday, we recognize the importance of the turning of the wheel and the brightening of days. In our grove, we do healing of ourselves and our lands and recognize this holiday as one of reflection and rejuvenation. We usually also focus on the element of water during this holiday. The Spring Equinox is one of our two “balance” holidays, or when night and day are in equal balance. The Spring Equinox allows us to step from the dark into the light half of the year, and for Michigan, truly does give us the first signs of spring in the land. This is the time when we recognize the importance of planting, growing, and nurturing new ideas, projects, plans, and yes, even plants. We seek balance in our lives and recognize the importance of balancing our activities in the greater landscape to minimize our impact. Beltane is the third of our spring holidays, and celebrates the return of fertility to the land. Beltane is a holiday about fertility—bringing back the fertility to the land after the long winter, as well as bringing fertility to the land’s people. The Celts celebrated Beltane with maypoles, dancing, fires, and the great rite. Cattle were traditionally driven through the smoke of the bonfires to bless them with health and fertility for the coming year. In Ireland, the fires of Tara were the first ones lit every year at Beltane—all other fires were lit from Tara’s flame. For our ritual, we raise a maypole (symbolizing the union of masculine/projective and feminine/receptive energies) and walk through the Beltane fires in blessing. Alban Hefin takes place on the summer solstice, where we celebrate the heat and light of high summer and the fire of the sun. For our grove and the broader OBOD tradition, we really take the time just to “be” during this holiday—to be present here and now and simply enjoy the bounty of the summer. 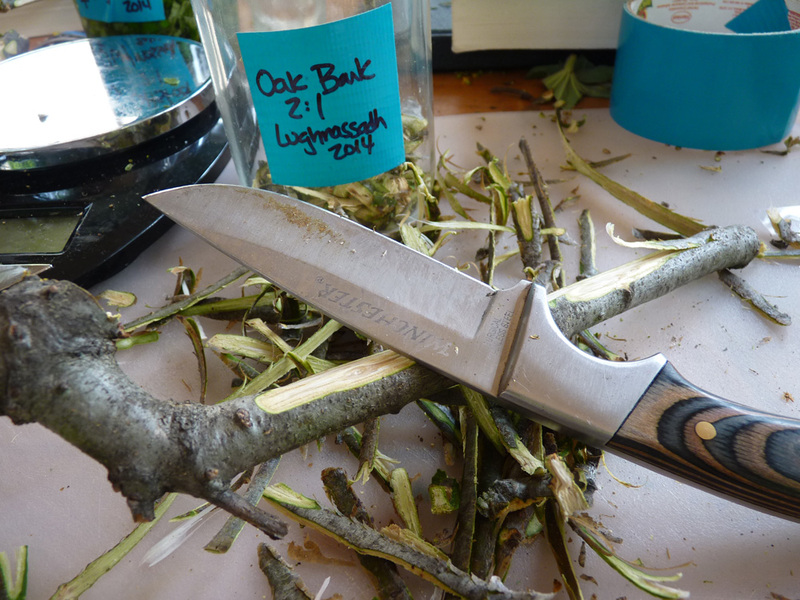 This is also a great time to gather herbs (for magical or mundane purposes). Lughnasadh is one of the four traditional fire festivals and is the festival of the first harvest. In early August, the tomatoes and vegetables ripen, the grains grow heavy in the fields, and we celebrate the bounty—and future bounty—of the land. In Ireland, this festival was (and is) celebrated with games, festivities, and the gathering of the berries and fruits of high summer. Our grove, likewise, celebrates this with games and also offerings to the land in thanksgiving. Alban Elfed represents the eighth holiday in our wheel of the year. We return once more to the time balance, when we enter the dark half of the year. Alban Elfed is the third of the harvest holidays, and a time when we recognize the need for balance in our lands, our lives, in what we harvest, and what we store away for the coming winter months. Alban Elfed is also the time of the OBOD East Coast Gathering, a gathering that takes place in Eastern Pennsylvania and that many of our grove members attend.